Timothy R. Brownlee joined Waits, Brownlee & Hoop in 1989 and was named partner in 1990. 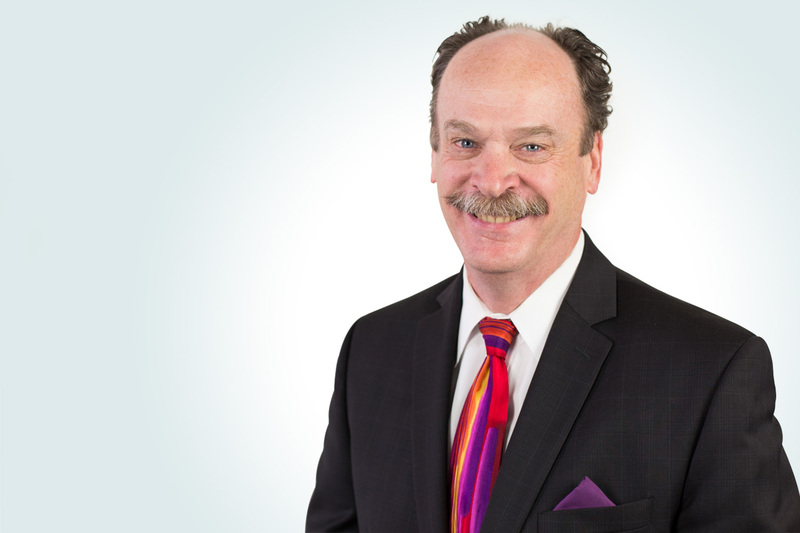 Mr. Brownlee has over 25 years of experience in practicing law. He heads up the litigation and commercial law group made up of four lawyers and staff. The group handles litigation, real estate and business formation and transactions for businesses and individuals in both Kansas and Missouri in the Kansas City metro area. Mr. Brownlee is active in his church and enjoys mountain climbing, hunting, competitive shooting, mountain biking, dirt biking, motorcycling, wood working, building computers, cooking and chess. In representing a diverse array of business clients over the last 20 years, Tim has assisted clients in obtaining and maintaining proper licenses and permits for vital business activity. In the face of an ever changing regulatory field and the creation of new requirements, Tim can help guide your enterprise through the determination of what licensing requirements apply or what permits are needed for the lawful operation of your business. Tim is aware that both criminal and civil laws apply to licensure and permitting issues for regulated industries and guides businesses through the complicated web of regulatory and licensing requirements. When necessary, Tim can aggressively represent your interest before licensing entities to insure that your interests are protected. Tim works with the other members of the Corporate Qualification and Business Licensing group to provide the following business services related to business licensing and permits. Advise clients on the requirements of the application process and compliance with manufacturer, contractor, or retailer licensing statutes and regulations in all states. Represent and defend clients in connection with complaints made to and charges filed by the State regulatory authorities. Handle issues in civil litigation relating to the absence of proper permits and its impact upon contract disputes. Advise clients on franchise law compliance, including franchise registration and state and federal disclosure requirements and monitoring of legislative and judicial developments. Obtaining business licenses for all types of motor vehicles manufacturers. Advising motor vehicle manufactures on the licensing requirements and regulations in states throughout the United States. Obtaining business licenses and entity registration for a new construction material manufacturer in 47 states. Obtaining construction contractor licenses for a construction materials manufacturer in a wide variety of states. Obtaining business licenses for a heavy equipment retailer and wholesaler in Texas. Tim Brownlee cut his teeth in the 80’s trying criminal, personal injury and construction cases. He has litigated and tried commercial cases for over 25 years including product liability defense, contract, intellectual property, and business tort cases. Mr. Brownlee has an uncommon ability to craft an overall litigation and trial strategy while directing and fitting together the minute details of discovery, depositions and evidence to win the case and accomplish the objective. Mr. Brownlee is well versed in discovery of electronically stored information (ESI) and has used ESI as crucial evidence in trials. He has shared his litigation skills, abilities and experience with the many attorneys who have worked under his tutelage in the litigation group over the last 24 years. As the Director of the commercial litigation group of the firm, Mr. Brownlee sets the culture of the group; striving for the highest level of skill and persuasion to consistently achieve the best possible results. Mr. Brownlee applies this results oriented litigation system to a wide variety of commercial cases. Whether defending a company or its officers from claims to minimize risk and liability or pursuing their claims to maximize recovery, Mr. Brownlee brings innovative, aggressive, effective strategies and tactics to the courtroom, boardroom or negotiation table. Prosecuting a suit against a foreign company for breach of contract in the US. Defending vehicle manufacturers in product liability cases in state and federal courts in Illinois, Missouri and Kansas. Prosecuting a federal trade dress infringement, unfair competition and trade secret case against a competitor who introduced a copycat product. Prosecuting a breach of contract suit in state court in Texas against a testing company related to a new alternative energy technology. Defending and prosecuting claims between manufacturers, suppliers and customers for breach contract, warranty claims, defective products, defective software claims and lemon law claims. Bringing suit in federal court in Michigan against a supplier and obtaining a seven figure recovery. Motor vehicle dealer termination litigation in California, Colorado, Virginia and Texas. Prosecuting to verdict a counterfeit trademark and copyright infringement case against a business customer in Federal court in Missouri. Defending a company and its employees in a non-compete & trade secret suit. Defending and prosecuting employment discrimination cases in state and federal courts. Tim Brownlee filed his first application to register a trademark in 1992. In representing a diverse array of business clients over the last 25 years, Tim has assisted clients in obtaining and maintaining trademarks and registering their copyrights. However, protecting your brand name or logo doesn’t stop with registration. Mr. Brownlee has helped businesses, non-profits and individuals police their brands to prevent others from infringing and to stop infringement when it is discovered. It is important to police your trademarks in order to maintain the exclusive right to use the name or logo and protect the economic value of the mark which means your reputation and continued sales. Many intellectual property attorneys only file trademark applications and seek to register and renew marks. And, many of these lawyers simply advise their client that a mark is not registerable when they get a refusal from the US Patent and Trademark Office. Mr. Brownlee does not take no for an answer. He has gotten past many trademark refusals through a wide variety of techniques from careful arguments in opposition to refusals, to abandoning an application and filing a slightly different one, to researching and proving the abandonment of a mark which has blocked registration. Prosecuted Federal copyright infringement actions, including against a home builder who copied and built copyrighted award winning custom home plans. Litigated and tried a federal trademark and copyright infringement case obtaining home run jury verdicts including awards of statutory damages, findings of intentional counterfeit trademark infringement and intentional copyright infringement. Sued trade dress infringer in Federal Court resulting in settlement that prevented new product from entering the market, as well as distinguishing changes to the design and payment of damages. Successfully blocked registration of infringing mark in South Korea through formal Opposition proceedings. A cease and desist demand to a famous German car company resulted in their withdrawing trademark applications in several countries in Europe and the Americas. A competitor of one client returned a mold for a patented design for a motor vehicle roof and ceased building vehicles of that design after Mr. Brownlee’s enforcement actions. Registering and maintaining scores of trademarks for a variety of businesses. National home improvement products manufacturer. Registering, maintaining and enforcing trademarks for many national ambulance and rescue vehicle manufacturers. Registering, maintaining and enforcing trademarks for a leading national fire apparatus manufacturer. Authors and publishers of educational materials – language instruction courses and religious instruction courses. Computer software and hardware companies. Registering, maintaining and enforcing trademarks for an international terminal tractor manufacturer. Registering, maintaining and enforcing trademarks for an several industry leading RV manufacturers. Trademark and patent licensing and use agreements. Maintain and enforce registered patents. Patent infringement enforcement demands, actions, litigation. Personal training and fitness industry intellectual property. Advised clients on contracts to protect and preserve trade secrets, proprietary information and data, and litigated trade secret and unfair competition matters.